I mentioned a few posts ago that I’d started walking the Tube lines, overground after reading Walk The Lines. To be truthful, I made it seem like a lot more of a recent endeavor as it is. I started the project almost a year ago now with the Bakerloo Line. The Bakerloo Line has Harrow and Wealdstone at one and and Elephant and Castle at the other. 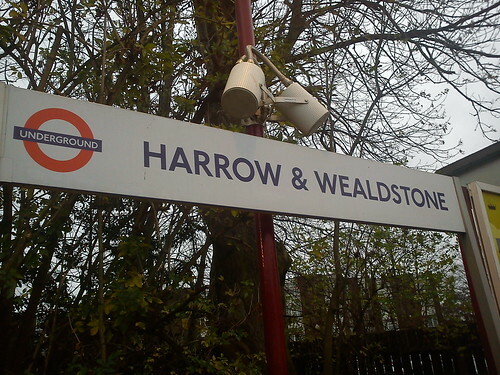 I started at Harrow and Wealdstone owing to the fact I’d never been there and figured I’d be more interested in a new place at the beginning of the walk than at the end. This was proven correct during the Victoria Line walk, blog post forthcoming. 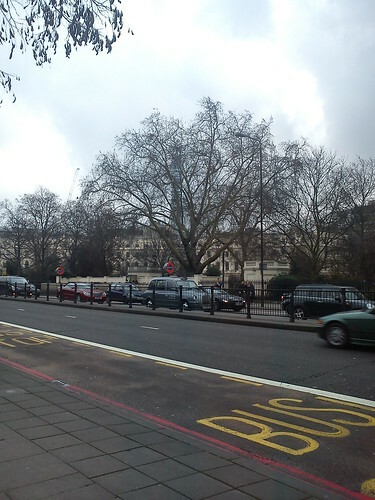 Considering I was starting at a station with the most serious peacetime rail disaster and ending in Elephant & Castle, home to the ugliest building in London (supposedly voted in by Londoners and an easy thing to believe), I had surprisingly high hopes for seeing new things and new places and generally enjoying the walk. In hindsight, I think it was enjoyable for the novelty of walking rather than the sights. 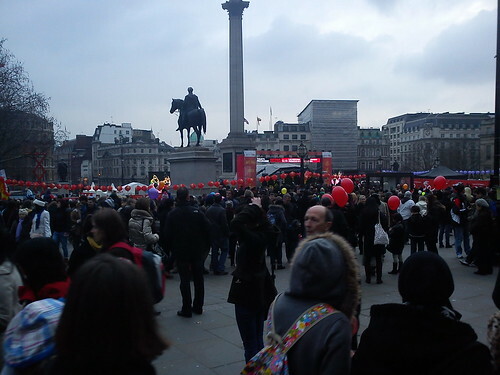 The good news is that I passed by Wembley stadium, which I had previously only seen from a distance, saw a nice sunset, and accidentally passed through Chinese New Year in Trafalgar Square. I was also geek-ily satisfied to have been to new tube stations and thus could tick them off the comprehensive list of all the stations on the Underground. The bad news is that there’s not much to report from Northwest London. It’s my personal preference, but I really didn’t like it that much. I can now heartily recommend not going to Harlesden. I was there for a total of five minutes and saw the immediate aftermath of a stabbing. Bear in mind, I lived in Brixton for a year and never saw anything like that. Also personal preference, I really dislike the Bakerloo Line. It’s one of the noisiest to ride and the seats are very, very uncomfortable. Like I said, it may have only been the novelty of walking so far and on such a theme, but I did rather enjoy the walk. I did get to see new places, even if some of them I’ll never go back to.